News in overnight from Moran Yacht & Ship of a €2,050,000 price reduction on Feadship's 44.65m motoryacht Madsummer. Built by the Royal Van Lent yard in 2008 as the third in the F45 Vantage series, she’s Lloyds classed and MCA compliant. An interior by Sinot Yacht Design accommodates 12 guests in six staterooms and twin 1055 MTU engines give her a cruising speed of 12 knots. Madsummer also boasts zero speed stabilisers, a spa and sauna and a glorious sundeck. 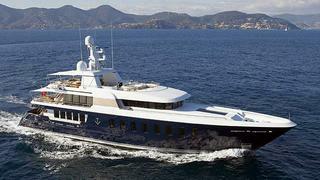 On display at the Fort Lauderdale show, Madsummer is down from €27 million to €24.95 million.